Hope Island has seen an increase in land sales, with an erosion of unsold stock over the past 18 months. According to Collen Coyne, Gold Coast Property Analyst, there is a wake of more affordable pricing, new infrastructure and the sell-out of receiver apartment stock. 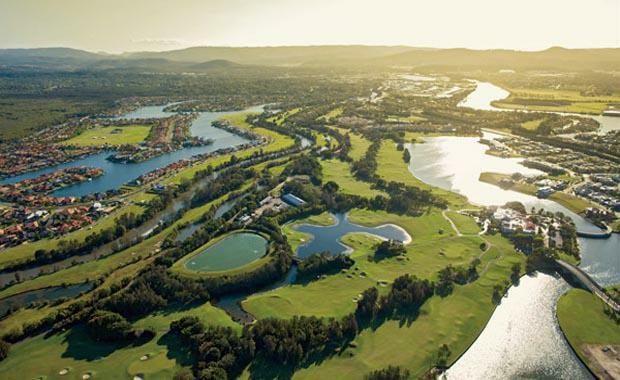 Hope Island, the home to Sanctuary Cove, Halcyon Waters, Vision by Halcyon, Hope Island Resort and Cova, offers some of Australia’s best golf course and waterfront living. Ms Coyne said the shifting dynamics at Hope Island have whetted buyer’s appetite for the location and galvanised developers to take their product off ice and deliver it to a more receptive market. Existing developers have unveiled plans for fresh projects, with new property players weighing in the Hope Island development scene. The recent maturing of long-term projects have impacted the availability of blocks, particularly on the waterfront. “The supply of wider frontage waterfront lots in the Hope Island area is rapidly diminishing,” Ms Coyne said. Around 12 waterfront lots are planned at Cova as well as limited future waterfront land at Sanctuary Cove. “Elsewhere in the established parts of the Gold Coast there are few opportunities to develop future waterfront land. “In five years’ time, a lifestyle choice that has helped define the Gold Coast will be limited to affluent buyers able to afford million dollar price tags," she said. Mulpha is releasing its first waterfront land offering in the past five years at Sanctuary Cove. Mulpha’s Tristania have sold eight blocks of their first release with a further 15 lots to hit the market at a later date. International and southern state buyer have purchased many of the golf-course and hilltop lots, as they seek the lifestyle benefits of a security gated resort. Halcyon Waters, community developer Halcyon has started work on the 88-home waterfront project on the south side of the island precinct. Vision by Halcyon has had a strong appeal, with the first release sold out, and the second release is currently on the market with strong interest. The neighbouring project, Northpoint, is offering 137 wet and dry lots, with the first three stages of the release sold out, and expected settlement to begin late this year.